You have brought an ever lasting sweetness into my life! Wishing you on your special day. Time does not wait for anyone. Except for the women having their birthdays celebrated. If one remembers a woman’s birth date and not her age. 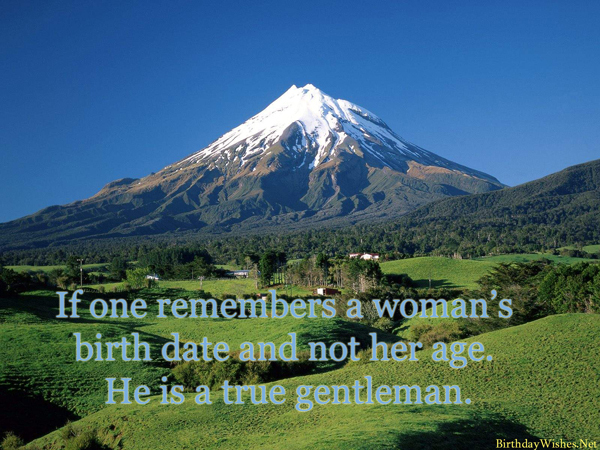 He is a true gentleman. Age is not a deterrent for a sharp personality. Happy Birthday to my dear friend. Old age is like a highway road trip. Most often you don’t remember how you got there. Wisdom and Youth never go hand in hand. You always have one and wish had the other one. World’s best kept secrets are often women’s actual age. Finding the truth is difficult. Birthdays are like waves in the beach. No matter what you do they keep coming back! One can’t escape old age if they wish to live a long and healthy life. A birthday is a yearly reminder that we have lived successfully for one entire year. It just gives us a heads up that we have to live another 365 days to witness another birthday of ours. Apparently it is believed that one loses the mind after reaching a particular point of age. But one thing they don’t understand is one doesn’t mind losing either. It is already getting rusted. It would be nice to have a reverse gear like a car in life as well. Your birthday is special to me in many different ways. It reminds me that I am about to get older too. Thanks for giving a heads up to the emotional roller coaster that is the birthday. On every birthday we make sure the old adage goes curiosity makes the cat die comes true. We are eager to get the next birthday and to find what’s in store and become old ultimately. Optimism is the need of the day. Instead of looking as another year went by, its time to look forward and venture out the opportunities and experience the life journey as it goes by. The grass is always greener on the other side. So it is better to consider that you are a year younger than the next year birth day instead of feeling low this day. Smiling and laughing is the best thing a person can do on their birthday, because it reminds them that soon they might not be having teeth to laugh out so freely in public. Memorable birthdays are those which have been celebrated in the past. Good birthdays are those which we are currently celebrating at the present and best birthdays are those which would be celebrated in the future. Birthdays are a constant reminder for a person as to where he stands in society, who is his friends, how much wisdom as he gained in the past year and how old is he now. Both the first birthday and the last birthday of a person are almost alike. In either case the birthday boy doesn’t even know what is happening around them and who his friends are. 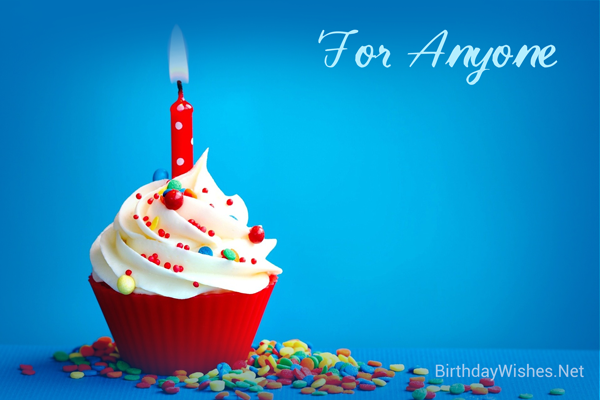 Check out this amazing collection of birthday quotes, the birthday quotes on this page incorporate the messages from these article, but feel free to add your own.